Despite increased scrutiny from authorities, fake wines still litter the supply chain in China, undermining consumer confidence. Wine which claims to be something that it is not, whether it’s plonk passing itself off as premier cru or simply a forgery or a well known label, has existed as long as wine has been drunk. It’s also widely documented that in recent years there has been a noticeable increase in fakes, especially in the Asian markets, and a corresponding increase in publicity, and pledges from both industry and authorities to stamp the practice out. Despite increased vigilance, the problem doesn’t seem to be going away. In China, authenticity remains a major concern for wine consumers, not only because of the possible monetary loss and loss of face (mianzi), but also because of food health and safety issues. According to Wine Intelligence’s China Landscapes 2016 report, the fear of buying a fake bottle of quality wine remains the biggest obstacle to overcome when purchasing wine in China, with 59% of imported wine drinkers saying that it has discouraged them from buying a bottle of wine. This figure is probably an under-estimate, as many Chinese wine consumers are either not experienced enough or fear losing mianzi, to cry foul – even in the presence of an obvious fake. Although wine fraud is often dismissed as a first-world problem of the wealthy 1%, those in the industry argue that wine fraud does not only occur at the top end of the market; rather there is a trickledown effect that affects the entire global market. Wine fraud comes in several forms, including unlicensed vendors, dodgy online brokers, sales of stolen wine, and adulteration; counterfeit wine is just one example. Many of the fakes in China today are well-designed, and look eerily similar enough to the original to fool an inexperienced buyer. Take for example, the sightings of “Panfaids” or “Benfolds,” and recently-seized bottles of counterfeit fine wines found in Rudy Kurniawan’s, the most prolific counterfeiter of the century, house in California. Can you spot the real Petrus? The Chinese government is notorious for its stringent wine import rules, as all wines are subjected to China’s General Administration of Quality Supervision, Inspection and Quarantine (AQSIQ), where bottles are freely opened, tested, and often rejected. It is estimated that since 2015, the number of wines failing to comply with Chinese customs’ labelling regulations has significantly increased. Additionally, the anti-fraud initiative Protected Eco–origin Product (PEOP) has been enforced by the government. PEOP is a label placed on a bottle that assures consumers a Chinese government guarantee of authenticity. The effectiveness of this label compared to the common raids and smashing of bottles remains to be examined. Nevertheless, it is safe to say that the Chinese government is actively intervening and consider wine fraud a serious concern. 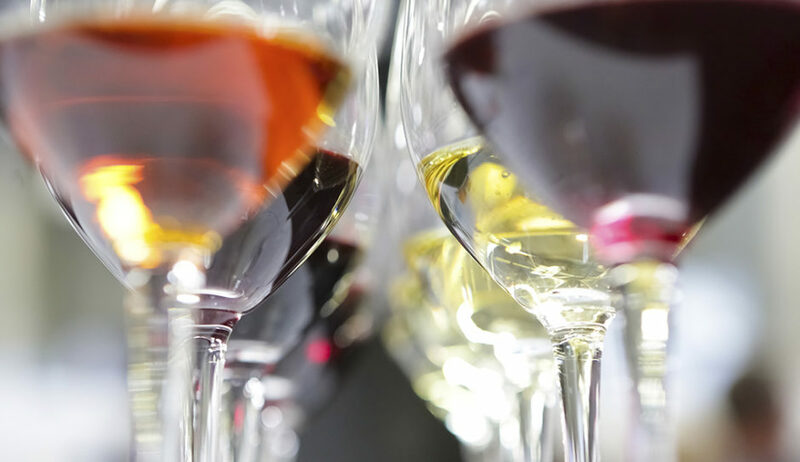 Additionally, countless new technology is being developed to combat wine fraud, including radio frequency identi­fication (RFID) tags, Near Field Communication (NFC) chips and QR codes. RFID tags and NFC chips provide unique serial identifiers that are integrated into the wine bottle’s capsule. Similar to QR codes, using an app is required, but the aim of these tags or chips is to provide easy access and quick authentication for consumers. While these tools are becoming increasingly popular, there is still no standardised practice within the industry.